Kate was recently invited to a lunch and ornament exchange with the girls in her pre-k class. I thought this was a great opportunity to get a little crafty with her and DIY a few ornaments. 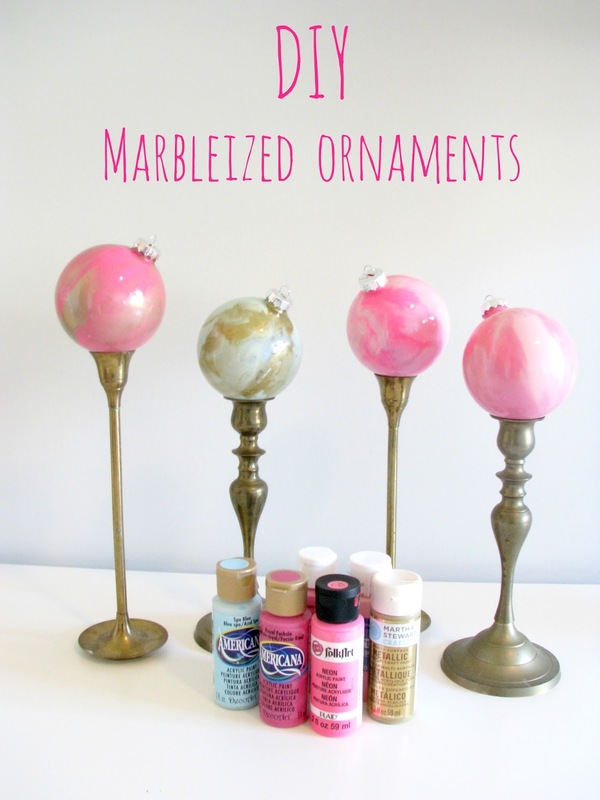 We looked online and decided to make DIY marbleized ornaments (found via Hi Sugarplum). These were super easy and fun to make, and actually turned out better than we expected! 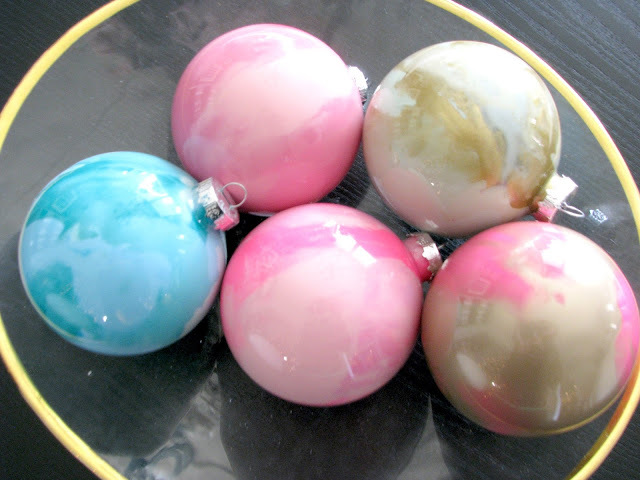 You simply need craft paint and clear ornaments. The tutorial said to use paints in the same color family, which we tried. We also mixed in a little gold and some neon pink to see what would happen. We especially loved the punch of the neon pink! After removing the top piece, squeeze in a little paint, and start twisting and swirling until it is coated. Make sure to empty out an excess paint, or it will take FOREVER to dry and will become heavy (trust me on this one :). 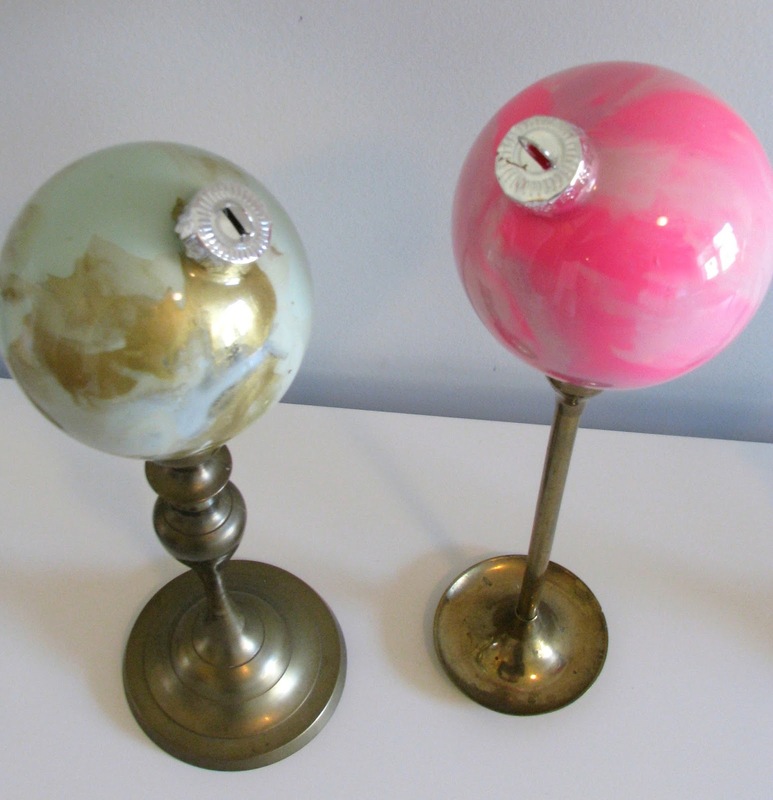 When the paints start to mix, you will start to see a marbleized effect. We used several shades of light/dark/neon pink, shades of light blue/mint/teal, and threw some gold in the mix on two of them. The possibilities are endless, and we want to make more! We tied a little pink/gold bow on the top for the ornament exchange. I know Kate felt special giving a friend an ornament she made herself! Thanks, Cassie, for the idea! Those turned out gorgeous! Love the neon pink and gold!